Frontline‘s new two-part film “Putin’s Revenge” premieres Wednesdays, October 25 and November 1, 2017, at 10 p.m. on CPTV. In it, Frontline tells the epic, inside story of how Vladimir Putin came to see the United States as an enemy, how U.S. intelligence came to believe he targeted the 2016 presidential election, the fallout under President Obama and now in the Trump administration, and the implications for the future of American democracy. 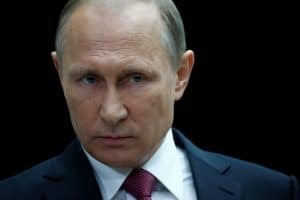 “Putin’s Revenge” draws on more than 60 interviews with heads of U.S. intelligence agencies, diplomats, Russian politicians, historians, and journalists, including former Director of National Intelligence James Clapper, former CIA Director John Brennan, and former Secretary of Homeland Security Jeh Johnson, among many others. The film traces how Putin went from low-ranking KGB agent to long-serving president of a newly assertive Russia with the ability to wage cyber-war in the U.S. and across the globe. With in-depth reporting from Moscow and Washington, D.C., it’s a riveting and revealing documentary from Frontline filmmaker Michael Kirk that explores why Putin has sought to sow distrust in America’s democracy. Night One of “Putin’s Revenge” is a portrait of what makes the Russian leader tick, and the events that shaped his belief that the U.S. has sought to undermine Russia dating back to the fall of the Soviet Union. It explores how Putin came to power and then carefully constructed his image, cracking down on independent media outlets and opponents. It also traces key turning points in Putin’s relationship with the U.S. over the years. Night Two delves into the riveting story of Russian involvement in the 2016 election, and how and why the Obama administration struggled to confront Putin about both election interference and, before that, Putin’s actions in Ukraine. Against the backdrop of investigations by the FBI and Congress into the role Russia played in the election, “Putin’s Revenge” is the must-watch, inside story of how we reached this point, what drives Putin, and what might happen next.